I cannot say enough amazing things about Kingley’s services. First, and maybe most importantly, he comes when he says he’s going to. 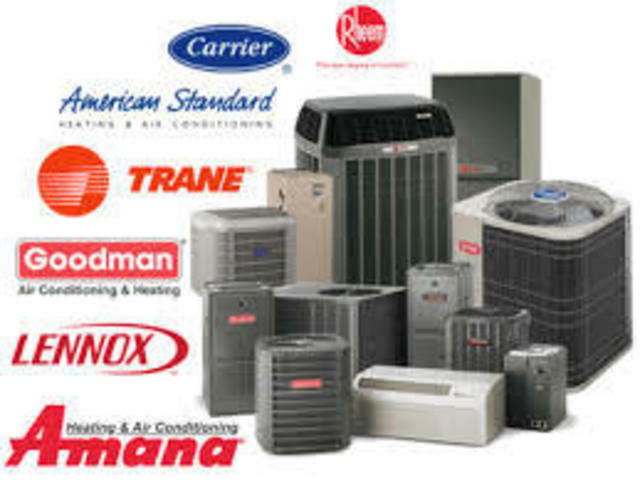 When it comes to matters of heat and AC, that’s key! He’s also extremely smart and dedicated which is really helpful when you’re trying to problem-solve weird furnace issues. And he gets the job done - he doesn’t leave you in the lurch with false promises about coming back “next week” like all of us have experienced so many times. Kingsley is your man. Don’t hesitate to call on his services. Kingly determines that there was no power transmitting to the thermostat, and took the time to find the appropriate replacement. Kingsley came just a couple hours after our furnace stopped, and it was also well after regular hours, so very much appreciated in winter. He had us up and running quickly, after finding a very tricky short circuit problem. He also serviced our furnace another time and is definitely now our go to for gas, heating and cooling work. My wife and I would both highly recommend him. Thank you very much for your kind review. I look forward to working with you in the future. It was a great installation! It was completed in good time. I have no doubt that I will recommend your reputable organization to my friends and family. He was right on time and was able to do the work fast. In and out in 30 minutes and now I have heat. He was the 3rd repair guy to come here....finally someone that was able to fix the problem. Kingsley is great to work with. He communicates very well and is available to answer all questions. He is reliable and I will be consulting with him for any future needs as well. Thanks for your review its much appreciated and I look forward in being of service to you in the future. Kingsley was very friendly and competent. All the work was done very professionally and he was nice enough to explain everything he was doing and why. He was very informative and honest when giving recommendations for other services needed in our home. Overall, the service was excellent and I will definitely recommend his services to all of our friends and family. Thanks for your Kind review, I'm humble. Kingsley is a superstar! An old AC unit had to be removed, but it was located underneath a deck and barely accessible. We wanted to avoid taking apart or damaging the deck. Kingsley arrived on time, and worked patiently and diligently to properly disconnect the unit and maneuver it out (in the rain, no less). For sure, others would have given-up and made us remove some of the deck. He was pleasant, professional, helpful, and knowledgeable. He also gave our really old furnace a thorough cleaning, making us optimistic it has a few more years of life to it. I would definitely go to Kingsley for any future HVAC jobs. Thank you Kim for this review. This is the kind of service and experience I aim to give all my clients. I am happy you experience was a great one. Thanks again for your kind words and appreciation. Disconnect and reconnect air conditioner unit to make room for other work. I have used Global Air and Appliances for this and other work. Very reliable and quality work. Thanks you for your review.